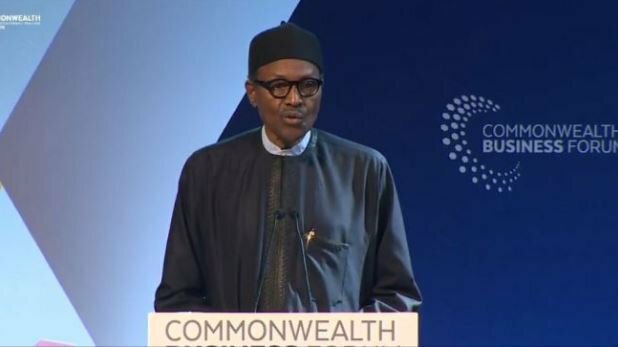 Following President Buhari’s remarks at the Commonwealth Business Forum on Wednesday in Westminster, London, suggesting many Nigerian youths are lazy and expect free benefits, many young Nigerians and their allies are reacting with outrage at the comment. The backlash was swift as Nigerians immediately rallied on social media, particularly Twitter, trending the hashtag #LazyNigerianYouth, to shoot back at a comment they consider an insult to the many hardworking young people of the country. He sits and does nothing at Aso Rock. He gets free housing at the Presidential Villa. He spends 103 days in London and we pay for it! Joblessness makes him talk anyhow! my name is Mr. Emmanuel, Please with this due respect Sir, the youth of this great nation are not lazy in any area. You and other of ou past leaders are lazy, why, because you and others refuses to do the right thing as other world leaders did to transform their nations. All the millions wasted in medical tourism wtthout building that same hospital in this country, what is this government to list poor youth moving arround the street everyday looking for something to do, that means we have a lazy president that lack ideas and focus, I respect the office of the president but the person of buhari making such a remark that I as a person being a youth of the nation after suffered to feed myself and my family day and night without any assistance from Buhari government and turn around to label me as a lazy youth, I want him to retract that statement immediately and appologise to all the youth of this nation or else he should not come to any state and seek for re-elction during campaign becasue the youth will not take it lightly. Ffinally, for him to call the youth of this great and blessed nation lazy, that means his own sons, daughters and every of his family members that are youth are lazy but as for the youth of Nigeria that I see with my eyes, we are not LAZY, WE ARE STRONG AND HARD WORKING PEOPLE. I am sorry we voted for someone that lack directions and focus. GOD BLESS MY COUNTRY. Buhari is a lazy man at time anywhere. Even in that London you are now, are you not lazy by going there before the meeting. Idiot. Buhari is really making fool of himself including all his blind supporters who knew too well that the Lord has rejected him to rule over us. He is REJECTED already by God. He is a lazy, sick, wicked and unrepentant old man whom the enemy of our souls is working very hard through him to render the nation Nigeria useless and the worst is that he cannot find anything wrong with himself, thereby making mockery of the youths of this nation. I am a hard working youth in real estate here in South Africa. Married with children by Gods grace. Nigeria youths, please lets weep for our children. Do not mind what these tyrants are doing with our future. Let us go on our knees and cry to our God to bring a wave from His nostrils to move away these heartless animals in human skin. Fellow youths, please stop being thugs for them. Pray to be a useful tool in the Hand of our creator. A vessel of gold in the great house of our Lord Jesus. PRAYER PRAYER PRAYER & FASTING. Thank you. This president is very confused, over 90 percent of graduate are unemployed, apologize for the failure of your government to provide the needed amenities needed for growth and development which would pave way for jobs. That’s the most unfortunate statement coming from President Buhari. It’s all shows that this is the time for him to go because he has nothing to offer again. Diminishing return is telling on him. Buhari must be something else other than a human being. How could this thing refer to Nigerian youths, whose future he has, at every point, worked to destroy as lazy? This devil, in far away London, calling Nigerian youths lazy is the height of insensitivity and sheer madness. Buhari is fighting ‘kwarapsian’, but his unemployed son, Yusuf is cruising on power bikes worth hundreds of thousands of dollars each. Buhari should be telling the world how his son got all that money. He is a disgrace. Why wouldn’t the fraudulent criminal tout parading himself as Buhari in say anything about this territory natives because of the generation of failures from Obasanjo down to the likes of Ekweremadu, Osinbajo, Orji Uzoh Kalu, Olu Falae, Bello, Wike, Amechi, Ortom, Ayatse, Umahi, Adesosun, Emefiele, Kachikkwu, Okowa etc. Dangote who is funding terrorism against this territory natives for fulani fraudulent criminal sultanate political government with its emirates under the dead fraudulent political name Nigeria was the first to insult this territory natives as lazy. Who is behind Almajiri practice, underage marriage practice etc. which are number one obstacles to education which is the basis of productivity, employment etc? Who controls the dead fraudulent political name Nigeria which neglected and deliberately blockaded education developments, do not fund the education etc. which is basis of productivity, employment etc? The whole insults has come to an end in this climax of the ongoing Revolution War of the natives under the natives Disintegrated Republics which secures the natives existence and future in 21st century world. The dead fulani fraudulent criminal sultanate political government with its emirates and the dead fraudulent political name Nigeria behind the whole mess in this natives territory has come to an end in this climax of the ongoing Revolution War of the natives under the natives Disintegrated Republics which secures the natives existence and future in 21st century world. Only the Sword decides. God Is With!!! I don’t understand what Buhari thinks he is gaining by making all these moronic statements whenaver he is abroad. As the Leader of a nation he should not be hanging out his dirty pants in public because these are issues he was elected to tackle. Besides Nigerian youths are some of the most hardworking youths in the world struggling against all odds not just to survive but to actually move upwards in the economic ladder. Buhari is the lazy one using Nigeria oil and taxpayers’ money to go overseas for his treatments which he could not afford before he became the president. He is making a mistake to think these utterance endear him to the civilized world, they simply confirm to be incompetent, shallow and totally unfit to hold any public office let alone be a president. He is an utter disgrace to Nigeria and I often wonder what on earth we did to deserve such a man as head of state. Even if it was the case, should a President refer to the youth of his Country as Lazy in an international convention? However, that is not the case. Nigerian youths are one of the most hard-working and educated people in the world. Our only crime is that we come from a nation where fools elect themselves to public offices, embezzle funds and launder the funds to foreign countries instead of developing our country. We the Nigerian youths are not the lazy ones, you, my President and your cabinet with analog brains are !!! Nigerian youths, if you are not lazy, VOTE this old sick man out next year. @Mizch, the fundamental problem you must vote out in this natives territory are the dead fulani fraudulent criminal sultanate political government with its emirates and the dead fraudulent political name Nigeria. Your voters card and vote now is the Sword in this climax of the ongoing Revolution War of the natives under the natives Disintegrated Republics which secures the natives existence and future in 21st century world. Strike point number one are the enemy’s brainwashed terrorism mercenaries nickname military, police etc. who are behind the attacks and killings of this territory natives in disguise as so-called herdsmen etc. for fulani fraudulent criminal sultanate political government with its emirates under the dead fraudulent political name Nigeria. Only the Sword decides. God Is With Us!! !